Stephen received his undergraduate education from the University of Utah and graduated in 1969 with a Bachelor of Arts Degree in Political Science with an emphasis in Political Philosophy and with a Certificate of International Relations. He received his Juris Doctorate Degree from the University of Utah College of Law in 1972. He has been admitted to practice before the Bars of Utah, the United States District Court, the Tenth Circuit Court of Appeals, and the United States Supreme Court. Following law school, Stephen clerked for the Honorable Heni Henriod, Supreme Court of Utah from 1972 through 1973. Stephen then worked as an associate for Kinghorn, Oberhansley, and O'Connell, and was a partner in Littlefield, Richey, and Cook for a period of time representing civil rights litigants in federal court including the A.C.L.U. of Utah. Stephen then created his own firm in 1983 specializing in labor and employment matters representing both organized labor and non-conflicted employers. Over the years, Stephen has had the opportunity of having several notable labor and employment attorneys work for him and with him including Robert H. Wilde and Russell T. Monahan. In 2009, the firm name was changed to Cook & Monahan. Stephen has practiced in nearly every specific area of labor and employment law over the years for both organized labor and non-conflicted employers. He has represented clients in collective bargaining, in matters under the NLRA including processing and defending over 100 NLRB actions such as unfair labor practices, NLRB elections, certification and decertification petitions, unit clarifications, and 10-K hearings. He has had experience before the Division of Advice, and full Board. He has engaged in extensive litigation involving in defending and prosecuting wrongful dismissal actions, ERISA actions, Section 301 actions, Title VII actions, Section 1983 Civil Rights actions, FLSA actions and others in both federal and state courts. Stephen has represented trustees in arbitration as well as employers in withdrawal liability cases under MPPAA. He has argued before appellate courts over twenty-two times with reported cases in the Tenth Circuit, including an en banc appeal, and the Utah Court of Appeals and Utah Supreme Court. He also has two reported cases before the National Labor Relations Board. Stephen is a member of the Salt Lake County and Utah Bar Associations. He is a member of Utah Association of Justice. 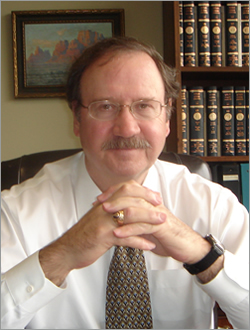 He has served on the Ethics Advisory Committee of the Utah State Bar, is a past President of the Labor and Employment Law Section of the Utah State Bar, and was member of the Labor Law Section of the American Bar Association. Stephen is rated as an "AV" lawyer by Martindale-Hubbell, has been reported as one of Utah's "Best Lawyers In America" for the past fifteen years in the field of labor and employment law, reported as a "Utah Legal Elite" in Utah Business since its inception, and was selected as the "Attorney of the Year" in 2009 by the Labor and Employment Law Section of the Utah State Bar. Stephen is married with three adult children and enjoys traveling and fishing.